After that she had a rest and had a little nibble of my stash of fortune cookies on the kitchen bench. Pattern is in the sidebar. Awww, she is lovely! Such a nice round shape. So cute! 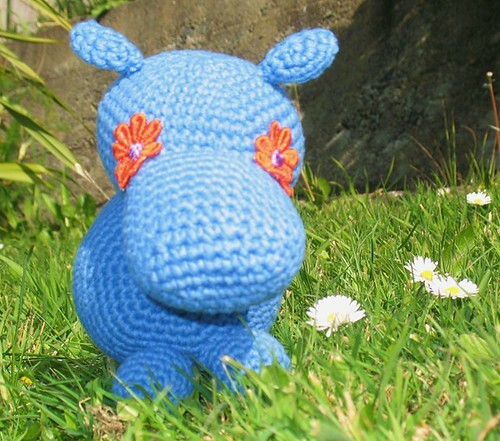 I love that you chose to crochet it in orange and blue. 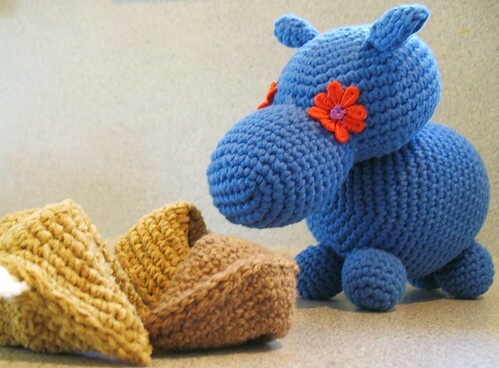 HI, its Gabriela, i would like to ask you something, Could you please give the explanation in spanish on how to make this beautiful hippo? I am not good at reading inglish.